Who is really Killing the Local Gospel Music Industry? Gospel industry might be on fire or probably on it’s deathbed since many musicians have been producing controversial songs. 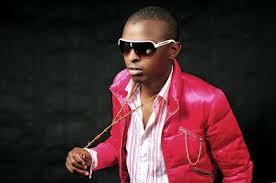 Alex Apoko, widely known by his stage name as Ringtone released a party anthem called “Party Leo”. The video was shot with approximately ksh 1 m and it comes at a time when Bahati has also released a track called Kuchu Kuchu alongside secular artistes, Wyre and King Kaka. In Party Leo, Ringtone features the king of Ugandan gospel, Exodus and the track is actually a club banger. Remember Ringtone was on the front line to tell Octopizzo to stop meddling into the affairs of the gospel industry when Octopizzo gave gospel artists a piece of his mind during the Groove awards telling them to focus on winning souls, not awards. Juliani is actually the father of this collabos. He first did a sing with Abbass Kubaff, makofi and later did another hit song alongside Juacali, si siri. Nowadays it’s normal for secular and gospel artistes to collabo, which was unheard off according to the pioneers of the gospel showbiz. Have you ever heard of a Jay Z and Lacrae collabo, or Mary Mary and Kendrick Lamar? Willy Paul also once did a song that most DJs refused to play it forcing him to re-do the song. What the hell is wrong with the gospel scene? It truly has money but it’s messed up even though many unsuccessful secular artistes are fast becoming gospel “ministers” for the sake of the dollar.